Join us and over 400 other students to be a part of the Midwest’s largest high school hackathon! 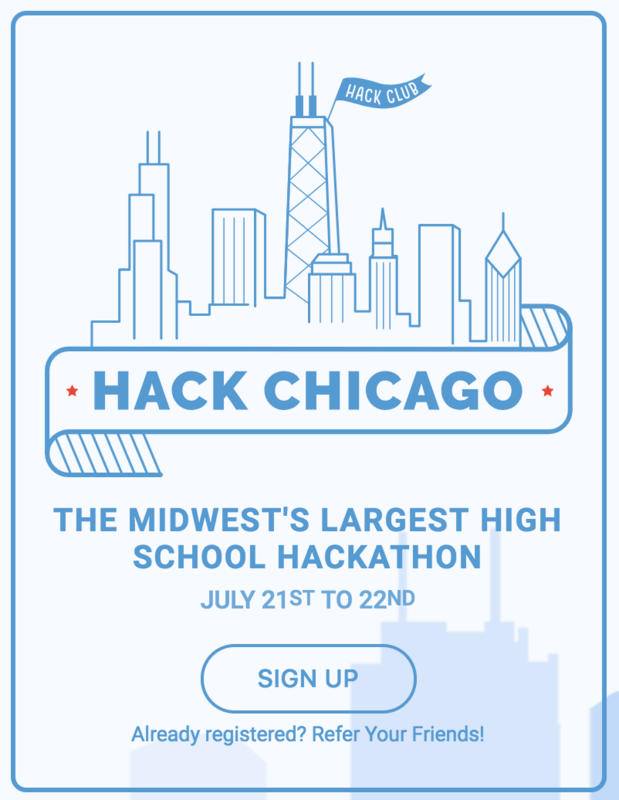 Hack Chicago is the premier high school hackathon that looks to gather 400+ high school programmers throughout the Midwest for 24 hours of fun! All you need to worry about is building something awesome, and we’ll provide the rest – including mentors, sponsors, workshops and a great number of resources. Yes!!! Our hackathon is the perfect place to learn about programming with all our different workshops we will offer at the event. Experienced mentors will also be there to help you throughout the event, so there’s nothing to worry about!